A few weeks ago, I was asked to contribute an essay on music/history, and, as exciting as the project seemed, I’m afraid I’ll have to turn the offer down. But this did get me thinking: when was the last time I really wrote something on music (historical or contemporary)? What feels like a lifetime ago, when I was pursuing my undergraduate degree, I spent one semester writing and editing for the university student newspaper. In truth, I was terrible. Terrible at taking direction and writing on assigned topics. Much of the time I was writing multiple pieces simultaneously. The first set of writings were those I was assigned (begrudgingly) and the set of articles that I thought should be published (and usually didn’t fit the editorial style of the students and faculty setting the publication’s agenda). I was assigned as one of the Arts & Culture writers this semester, and I couldn’t fathom writing 1000 words on the new ice cream store opening down the street (Was this really Arts & Culture?) or a review of an exhibition at the college that I had no intention of visiting. It took a little time to learn that these assignments were meant to be advertisements and positive reflections of how great the university was. Looking back, I’m not sure how I passed the class…maybe it was my naivety, the unknowing incapability to “play ball” and just give the editors what they asked for, mixed with my enthusiasm and productivity (despite continually arriving with work they hadn’t asked for and couldn’t publish). A double review of the Lars von Trier film Dancers in the Dark (2000) (before the director scored notoriety in the U.S. for his 2003 film Dogville) and Björk‘s soundtrack to the film, Selmasongs. 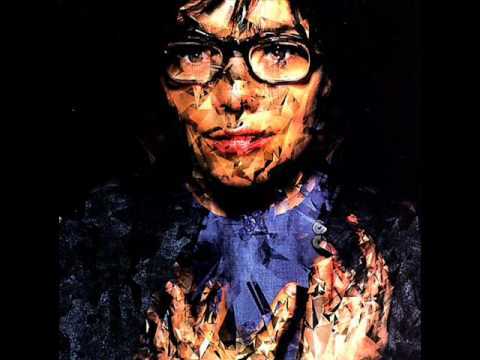 Björk also starred in the movie. 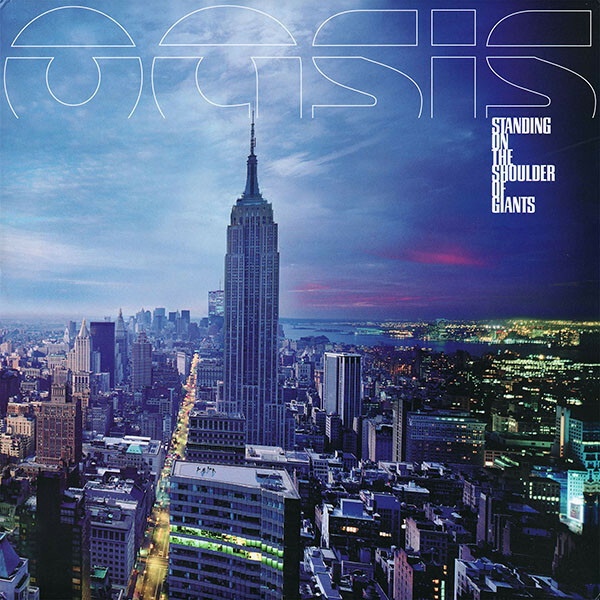 A concert review of headliner Oasis supporting their fourth studio album Standing on the Shoulder of Giants (2000) and their U.S. tour opener Travis, who had recently released their second album The Man Who and were not yet well known stateside. 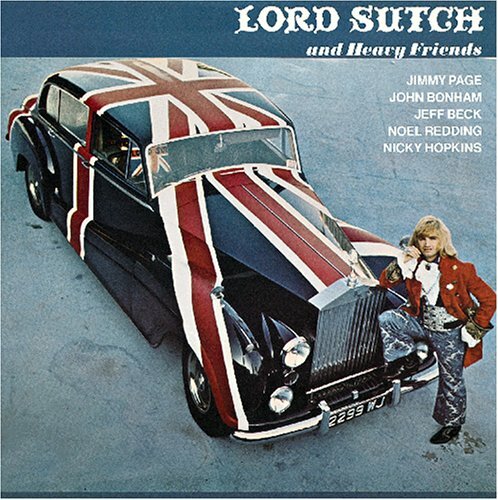 An essay on the 1970 album Lord Sutch and Heavy Friends… In retrospect, this was a hard sell regardless, especially for a student newspaper whose readers had never heard of the album. I hadn’t heard of it either, but was immediately intrigued–slightly obsessed with finding a copy on vinyl since this was the era before iTunes and Amazon Music, although I may have found a few tracks via Napster (remember that! )–the previous year I had read an article in which critics called this the WORST ALBUM OF ALL TIME! It was a collaborative project with Led Zeppelin’s Jimmy Page and Jon Bonham, guitarist Jeff Beck, session keyboardist Nicky Hopkins, and Jimi Hendrix Experience bass-player Noel Redding. How could it be so bad!!!! It was around this time, I (actually through my father’s impulsive and curious splurges at the local record store) discovered Blackmore’s Night. The album, Under a Violet Moon, was actually their second. I’m not sure I ever pitched an article on the band, but I should have . . . 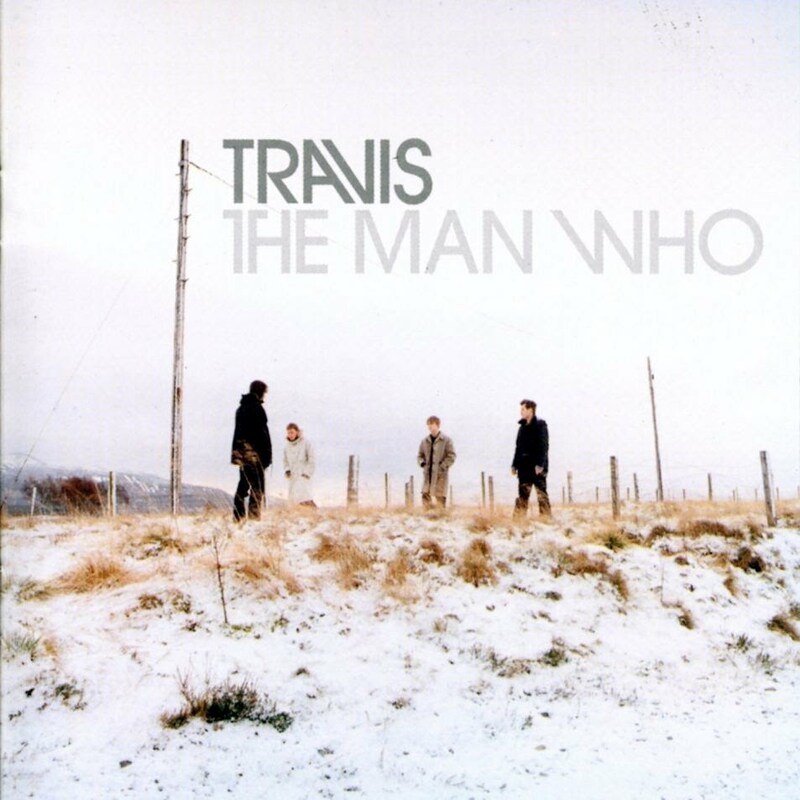 The band now has released ten albums and three DVDs and I can’t believe it’s been twenty years since the first one. (As a side note, Ritchie Blackmore played guitar in one of Lord Sutch’s line-ups!) For those unfamilar with the band, Blackmore’s Night is the band led by husband/wife, Ritchie Blackmore (of Deep Purple, Rainbow fame) and Candice Night. They are a folk/rock band making / influenced by Renaissance music. What I probably like best about the album (and the band, or perhaps rather the concept of the band) is its willingness to play and experiment with traditional medieval music. While everyone involved in the project is deeply invested in their craft, they never take the music too seriously. That is, there is a respectfulness void of snobbery that is often attached with the industry. As such, they can make up the rules as they go. One track will use all traditional / historical instruments (the lutes, balalaikas, domras, and hurdy-gurdies) while the next will offer much more modern takes tuned to today’s tastes. Traditionalists or purists might be insulted be this approach, but folk artists and rock musicians, critics and industry executives, too, have trouble “placing”–categorizing–what they’re doing. This is what interests me the most: their initiative, their process, and the re-creation of this traditional music and the aura that surrounds it. The album opens with the title track, a mid-paced hypnotically melodic folk tune penned by Blackmore/Night that sets up the haunting scene of the whispering and wandering wood. Its eastern-style opening riff, complemented by Night’s singing, is as eerie as it is inviting. This is followed by the regal and majestic horns of “The Clock Ticks On,” a rendition of 16th century composer Tielman Susatto‘s composition (the first of two that appear on the album). Its lighter tone lulls listeners through the seasons and an otherworldly sense of timelessness and love–two themes interwoven throughout the work. But in this magical setting, imagination is extended and anything becomes possible. The magic from the previous tracks carries into these stanzas. From this moment of intimacy of this track, “Play Minstrel Play” emerges, featuring Jethro Tull’s Ian Anderson on flute. Halfway through the track (about 2:30), the minstrel lets go: a meandering solo by Anderson instigates a quickening, hand-clapped tempo. Meandering but always in control and fully supported by Blackmore’s strings. The next few tracks are traditional compositions re-arranged by Blackmore. Each are warm and continue romantic themes. Of these songs, the Tchaikovsky remake “Writing on the Wall” stands out. It’s an uptempo track that brings the rock anthem to the tavern. A nice stand alone track, but the electric guitar solo at the end does tend to disrupt the spirit of carried through the album thus far. Or maybe for some, it offers a nice break from the monotony. The following track, “Renaissance Faire” (also by Susatto) recovers back themes. It’s become one the crowd favorites while on tour. The album version here does get a bit dull though, and it doesn’t quite capture the feelings in the air when played live. Similarly, “No Second Chance” serves as an example of how some of these arrangements and riffs could just as easily fit within the Rainbow catalog. It should be noted that Blackmore’s Night covered the band’s “Rainbow Eyes” and Joe Lynn Turner was featured on the track “Street of Dreams” from The Village Lanterne (2006) album. There are three instrumental tracks on the album. “Minstrel Hall”, “Memmingen”, and ” Mond Tanz” (or Moon Dance) are absolute delights, showcasing Blackmore’s genuine passion and appreciation for music of the era. They could have been written four hundred years ago. It would be easy for a musician of Blackmore’s aptitude to wonder off script and parade off the pages, but the composition is crisp and on pace with much of the album. The album ends with a revamped version “Greensleeves”, which lands a little flat. In part this may be because every listener knows this so well already and in part because it follows the elegant farewell shore song “Spirit of the Sea,” one of Night’s best performances on the album. And I wish this is the track it all ended on. But it continues with one final track: a cover of the Rednex song “Wish You were Here.” The song works with the album on some levels, but it does straddle the line and, listening to it again the past few days, sounds dated. It was originally released in 1994 (and then sounded about decade stale). If only Blackmore pushed a little further to rearrange the work and make it a little more of his own–clearly he was successful in figuring out the formula for the historic numbers. Blackmore’s Night had better work ahead of them. My favorites are the 1999 follow-up Under a Violet Moon and their fifth studio album The Village Lanterne. Their first remains a great listen, but, for me, the overall concept is still more interesting the the work (as a whole) itself. It works hard to break the mold and venture into new (and old ground), despite critics and promoters alike always trying to force new labels and categories for its sound. Terms like Neo–Medieval or Neo-Renaissance are in vogue now. But these are just the buzz words of the day, much like the sub-genre Prog or Progressive Rock were once littered in music magazines, shops, and festival posters. This music won’t be for everyone. Their work, however, has some interesting connections to my own work and interest in living museums, performance / re-enactments, and interactive history. Undoubtedly, readers unaware of the group until now will make some immediate connections with Renaissance fairs and festivals. [Enter: Images of turkey legs (although turkeys weren’t actually in Renaissance Europe), jousting matches, pony rides, juggling and story-telling, craftspeople of all kinds…] The performances though capture something more: a fanciful spirit, a sense of play and community. Perhaps, like the Renaissance Fairs of the 1960s, the music is a sign of the revival of craft and folk art, an interest in ancient or traditional instruments and storytelling, and a sense or longing for bohemian culture. I’ve only had one disappointment over the years listening to the band and attending their concerts: I’ve never dressed in Renaissance attire like their most dedicated fans. Maybe next time they perform stateside, I’ll pull a group together, don the tights and the tunic, plop down on one of the reserved seats up front, and grab a pint. Maybe. This entry was posted on July 25, 2017 by k.a.wisniewski in Art, Events, History, music, Reviews, Video and tagged Art, Blackmore's Night, Composition, History, medieval, music, OTD, performance, Renaissance.